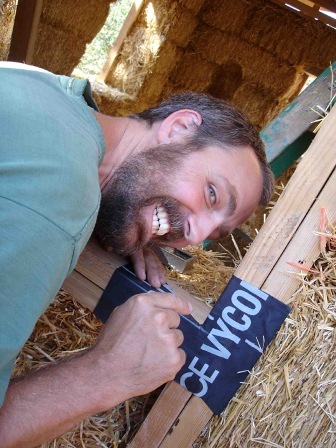 A justifiable concern is protecting your straw bale home from weather. Water damage is the worst enemy of bale construction and as such, is protected against with the up most attention. 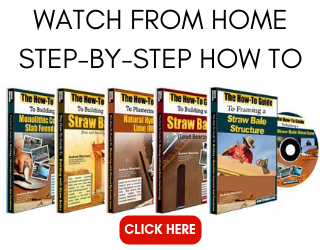 There are several ways to deal with water issues in a straw bale home. 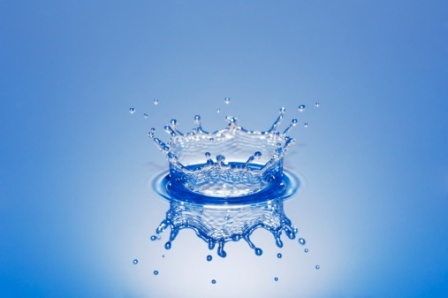 Rain splash, direct rain contact, humidity, leaky wall openings, and water line breaks are all potential sources of water damage. Each can be handled, to an extent, with proper planning and construction. Let’s start with the obvious: rain. This is perhaps the easiest form of water to deal with in a straw bale home. Large overhangs, preferably 2′ or more, will direct the majority of the rain away from the walls by protecting them from direct contact. With the application of gutters on the eaves, you can virtually eliminate rain from contacting the walls. The gutters also give you the opportunity to collect your rain water for future use. If you have a multiple story building, be sure to add roof lines at each story. Intermediate roof lines serve the same purpose of directing rain away from the walls. Without them, the roof on the second story will not provide enough protection for the first story. Areas with high wind driven rain or horizontal rain, are a different situation and are harder to build straw bale homes in. Pipe leaks are another common place of water damage in straw bale homes. These are also easy to deal with. KEEP ALL PLUMBING OUT OF THE BALE WALLS. Sorry to yell, but that needs to heard. I keep all of my plumbing to interior walls where possible. If that is not possible, I build what I call water isolation walls, like in the example above. By stopping the bales before we encounter plumbing, we are able to isolate it entirely from the bale walls. 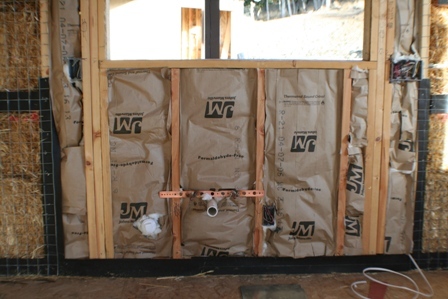 The area where plumbing has to be on an outside wall, like a kitchen sink, can then be insulated with extra insulation and the wall framed out to meet the same plane as the face of the bales. This eliminates any risk of the water leaking directly into the bales. The 3 1/2″ toe ups also eliminate the risk of the bales soaking up the water off of the floor from a broken water line. The sill and legs of the window frame have been completely counterflashed and THEN the window is installed. Once the window is set, then it is time to go back and flash the window in its entirety, including the head which is left out of the counterflashing. This extra step is worth the effort. Windows are notorious for leaks and are certainly a place you want to spend some extra time protecting. Now the hard one: humidity. The reality is that humidity cannot be stopped. It can be drawn out of the air with dehumidifiers, but it cannot be eliminated. If you live in a high humidity area, straw bale construction is probably not a good idea. If you live in a climate where the humidity gives way to hot and dry days, for an extended period of time, that may be enough for the bales to dry out. 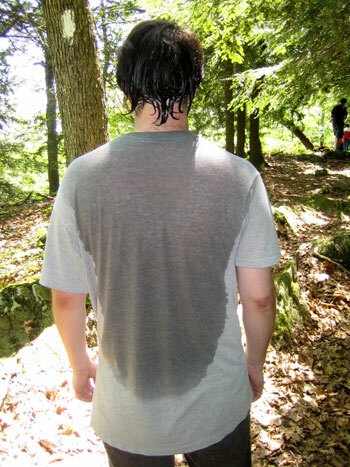 The deal is that humidity pervades everything and so cannot be adequately controlled. If the bales reach a moisture content by volume of over 20% then they will sustain mold growth and will rot. Exactly how the relative humidity rating of the air translates into moisture content by volume per bale is not clearly defined, at least not to me. If you consider your climate tropical, I would say no to straw bale construction. If you are right on the edge and unsure, I suggest you build a small structure first and install moisture meters to monitor the moisture content. After a year or so, you will have sufficient data to make a more informed decision. It happened to us one time. What a nightmare!!! thanks for the tip on humidity! I was 100 percent sold on the straw bale concept and was researching every aspect of construction and materials etc… However the climate in southwest oklahoma is a very challenging one. moderate temp most of the time with extreme and sudden fluctuations! I have literaly seen 80 degree days and snow that night! The uber insulation factor is inticing but mold is a very real problem here. Thanks again for the continuing education I have found it just as enlightenting and important as the dvd set. I’m curious about which climates you recommend not to build in. I’m living in Arkansas at the moment and have been thinking it would be perfect for this climate, am I wrong? Also, I know a family that used the moisture meters in Alaska when I lived there, they never had any problems even with extreme dew points. One last question while I’m here, any higher risks involved if you were to build an all one level structure, but had the floor sunken 3-5 feet in the ground to help with temp control?? Hi David. I am not that familiar with the climate in Arkansas. If I had to guess I would imagine it is quite humid. Humidity is the struggle with bales as it is almost impossible to control. There are some options as discussed in several posts on this site. I would not install bales below grade; however,you could build with concrete retaining walls, Rastra block, or the like below grade and then complete the above grade areas with bales. This would give you a VERY well insulated home. What is the relative humidity % that becomes an issue? The honest answer is that I do not know. I don’t fully understand the relationship between relative humidity and moisture content by volume of straw bales. I have read several articles and dissertations on the subject and have found no conclusive evidence or data that fairly represents the way these two aspects interact. I can tell you that anything that produces bales over 20% moisture content by volume is too high. What that relative humidity actually is, I can’t say. thanks for the candid (and timely)response 🙂 I do hvac, coomercial refrigeration, ice machines, appliances etc… So maybe this is stuff you already know but the critical humidity situation changes with the ambient conditions. think of all the times your car has been sweating like a cold beer. this is due to the humidity/temperature of the air. i think barometric pressure enters into the equation too. it is this constantly changing “dew point” that David mentioned that makes the problem a hard one to pin down. your advice on 20% moisture content of the bales gives me something i can work with. i think what i should do is make a test “wall” out of bales, which will closely approximate my build, and test the moisture content of the bales over time. it seems like alot of work but not as much as building a 2500 sq. ft. house i cant live in! I would love to hear what you find out. Like you say, it is a hard one to pin down. If you live in a humid climate, is building a sample wall an adequate enough humidity test? If all you build is an outside wall, how can you factor in indoor humidity? Or is outside humidity more of a crucial factor than indoor? Is it necessary to build a sunset cottage or something similar to test the build-ability of your climate?? Building the cottage would be a much better measure of the success of the system for sure. The wall would only give you a basic interpretation of the climate effects, but it is the least expensive option available. The indoor air humidity is not something likely to be much higher than in regular climates other than its relativity to the outside humidity which the wall would measure. I live in the middle of Atlanta, Ga and love the idea of constructing a straw bale art studio for my backyard. 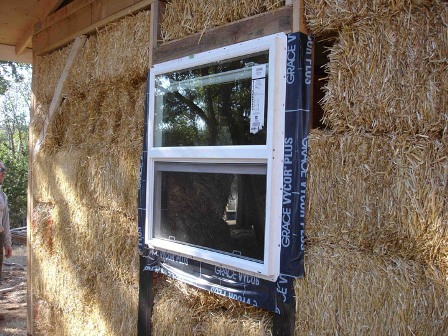 I work with very temperature sensitive materials and thought straw bale would be perfect. But it’s high humidity. I haven’t found a straw bale house in GA yet, but did find one in Mobile Alabama. Do you know of any in Georgia? My water question is this: I will be building in Maine where we are known to have a bit of snow (a number of times this season there was 5 or 6 feet of snow on the ground, not including drifts!). My worry is particularly about the north side, where, unless I put up snow fences or some other barrier, snow is going to build up. I’ve heard elsewhere of builders using a cement stucco on the lower bales with apparent success, but what would you recommend, Andrew? Thanks! I only use cement based stucco when I know I will be safe to dry out the bales for a long period of time in the summer. Most of Maine, as I know it, has a long dry summer, albeit not as hot as some areas. I think you might be better off using landscaping to create snow breaks and then using a stud pony wall in place of say the bottom 2 or 3 courses of bales. This will protect the walls well and give you a place to run water and electrical with ease. My two cents. Thanks, Andrew. I wouldn’t have thought of a pony wall. That may be the way that I go. I am looking to build near Jerry but on the Canadian side in Nova Scotia. I only know of one strawbale house build there so far. I have heard of people using a vapor barrier on the outside walls. Is this common or have you used it in any builds? I have done it although I am not a big fan of it for the limits it places on the breathability of the wall. That’s awesome Andrew. I look forward to seeing what you create! I’m looking at a house in southern Idaho. It’s very dry in the summer, and cold with considerable snow in the winter. 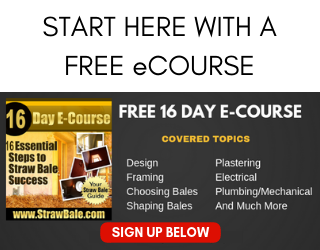 How can one test the strawbales moisture content? I want to ensure they are OK before I place a bid on this house. You can drill a small hole in the wall and insert a bale probe to get a moisture reading. This will damage the plaster so the owners may not be into it. They do make some surface models that will read MC to a depth below the plaster, but I think they are quite expensive to buy. If there is any interior trim around the doors or windows, you could pull off a piece and insert a probe through the open space. The best place to check for moisture damage is below windows. If that area is fine (below 20%) then the erst of the house will be too in most likelihood. Our strawbale home in central Maine has cement based stucco on the outside and gypsum based on the inside on the inside. We have had zero moisture issues after 4 years. Snow accumulation against the house has not been a problem either. When snow piles against a house reflected sunlight, and heat loss through the walls, will form an airspace between the snow and the wall very quickly. Melting snow will not get into the walls.Around the entire perimeter of our house we have 3 feet of pea stone spread so that any water just drains away and so air can circulate. Don’t put any sort of plant or shrub next to your bale walls. Thanks for the input Rick. I still like the idea of landscaping with wind and snow breaks as well. I think you are right to note that the plants should not be placed right up near the house but far enough away to allow for the house to circulate air around the plaster. I am looking at doing a straw bale home in Southeast Alabama. It gets muggy out here, but also gets pretty hot. I had considered gunnite as a covering to protect from the humidity. Would this be doable? Also, I had gotten the impression that straw bale should be less expensive than conventional construction. I had pictured doing a timber framed home with straw bale walls. Id I did much of the work myself, would it still be very expensive? Would I have to use special bales, or would any locally bought, fairly dry (but not too dry) bales be good? Labor is the big cost. The second biggest cost is plaster. If you can keep those prices down, you’ll be fine. Gunnite is tough because the moisture will still get in and then it will be trapped. You’re better creating a VERY breathable plaster, like clay or lime and installing a dehumidifier for the muggy days. Thousands of people get seriously injured every year trying to keep their gutters clean and by having a gutter protection system will help keep you off the ladder and out of the hospital. Gutter guards are very cost effective compared to the expense having your house waterproofed would be. hi Andrew. thanks for all useful information here. i have a question. i’d build sb house in croatia at the mediterranean sea. it would be ~300-400 meters from the seacoast. the weather is not extremely humid but some years it happens it’s just raining 3-4 weeks without stop for a minute. it happened once the last 7 years. and i’m worrying if it will be problematic for sb walls. what do you think about it? is it too long 3 weeks of rain sometimes? otherwise it’s not so humid or at least never so long because the area has 2700 sunny hours per year… and the summer is long and very hot. how long it takes to the walls till they absorb outside humidity? thanks, regards, Zoltan. Hi Zoltan. Should not be a problem with the hot and dry days of summer. Just make sure your walls have large overhangs (2-3′) to protect from the rain. Should be absolutely fine. I’ve been worried about our strawbale home. We live in SW Wisconsin in a very humid area. During the extreme humidity of summer with the heat, the house smells like raw corn husks. Weird? Do you think this is bale rot? I rarely smell this in cool, dry weather. What do you think? hey. thanks for your answer. the dalmatian guys (they are living there on the island I’m talking about) told me it can be serious problem the extremely salty air. what do you think about that? I have not heard of any problems with it, so I don’t have much I can comment about in regards to the salty air effects. Sorry. 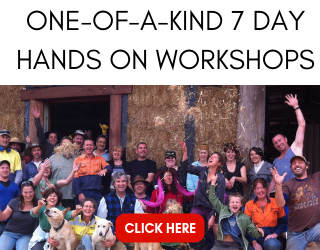 Do you have any thoughts on straw bale for someone with asthma/severe hay/dust allergies? I know that there will be “breathability” in the walls, but am not sure whether air is circulating through straw and into the home. Thanks for any info! Once the walls are plastered, there is no issue at all. During construction, there will be dust everywhere, so you will need to be careful. Where a good quality particulates mask (not a cheap dust mas, but a high quality deal). When you talk about the straw bales not needing to go over a 20% moisture content does that mean before and during the construction? Or does this mean the moisture in the air will penetrate the finished plaster walls and get in the straw bales? It should not go above 20% ever as that level can sustain mold growth and bale failure. This is not a direct correlation with the climate’s relative humidity but a measurement of the bales themselves. hi andrew i want to do this in greece.u know that we have a lot of sun but in winter for 3 or 4 months there is rain and humidity..what is your opinion?thank you in advance. I believe that the climate of Greece, as a generalization, is a good match for straw bale. I know there is a growing interest there as I have heard from several people in the last 6 months asking questions about making straw bale a reality in Greece. i have a doubt,whether straw bale construction is suitable for hot tropical climate nd roof garden is advisable for this construction?? Hi Inali. I responded on the other post where you asked this as well. In general: yes, it is possible; however, special steps need to be taken to provide adequate ventilation and dehumidification of the structure. Any roof is acceptable as long as it provides adequate overhangs to protect the walls. thanks a lot….how long straw bale construction is durable in such hot tropical climate? ?wether concrete roof is advisable?? Hi, I like to build straw bale restaurant on top of mountain in Wyoming we are in 8000 f. Do you have any recommendation for this environment ? It is dry most of the year but we can have large snow drifts in winter I’m planing on foam blocks/ concrete foundation 3-4 feet above grid. Do you have any suggestions? Hi Kamil. Sounds great! I would suggest using a more durable, yet breathable finish such as Natural Hydraulic Lime 5 (NHL-5). It will provide you with the strength a durability you need and will keep the walls safe from moisture build up. Congtact Michel at TransmineralUSA and tell him I sent you. He will give you a discount on the plaster. Visit http://www.limes.us to contact him. The raised foundation is a good idea. I don’t think you need much more than that other than perhaps some good landscaping to minimize snow drifts. Snow is actually an insulator so it is not a problem against the bale walls if it does stack up.